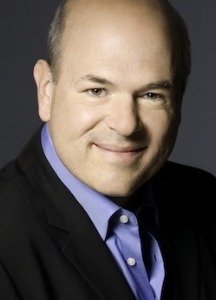 Actor, comedian and author Larry Miller has appeared in over 100 film and television shows. From The Princess Diaries, The Nutty Professor, Bee Movie and 10 Things I Hate About You, he’s also a proud member of Christopher Guest’s ensemble cast in the films Waiting for Guffman, Best in Show, A Mighty Wind and For Your Consideration. Miller has made dozens of appearances on The Tonight Show with Jay Leno, The Late Show with David Letterman and Real Time with Bill Maher. He has also starred in his own HBO comedy specials and on Broadway in Neil Simon’s play, The Dinner Party. Other television credits include Seinfeld, Desperate Housewives, Medium, Burn Notice and Law & Order, and Boston Legal. He currently hosts the weekly podcast The Larry Miller Show, where he unleashes a barrage of humor about the absurdities of everyday life. He’s a contributing humorist to The Huffington Post, The Weekly Standard, and he's the author of the best-selling book Spoiled Rotten America.